The word ‘Terrorism’ comes from the French word terrorisme which is in turn derived from the Latin verb terrere (e, terreo) meaning “to frighten”. In the context of UK insurance, until the early 1990’s virtually every insurance policy in the UK included cover for damage caused by terrorism, however since then, terrorism insurance has been automatically excluded from all commercial insurance policies, with an option to buy it back. We would beg to differ and for proof as to why every business in the UK should buy terrorism insurance we’d simply suggest that you look to the skies. Were one single plane to land on your building as a result of an act of terrorism, then your business, your livelihood, all that you’ve worked so hard for, would be destroyed in an instant. And terrorism insurance can be purchased as a standalone separate policy for as little as £100 per annum. So why on earth would you not buy it? A premium spend of say £2 per week to protect several hundreds of thousands of pounds of property?! It’s what we call in the trade a ‘no-brainer’! Please forgive our passion and the scenario we mentioned, but we care deeply about our clients and in the event of a terrible incident happening then the even more awful scenario would be to learn that because you’d not purchased the correct terrorism insurance cover, then financially you’d be ruined. We can provide bespoke insurance for any business operating in Staffordshire, the West Midlands and throughout the United Kingdom. We will give you expert advice on the type of insurance protection you need for your peace of mind and to ensure you have the correct insurance in place should you need to make a claim. 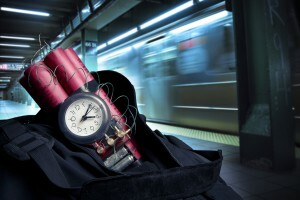 What makes us different from most brokers offering terrorism insurance is that in most cases we don’t take a commission from the insurance companies for placing the business with them. Instead, we prefer to work on a fee basis so that our earnings are transparent which we feel is more ethical. Whether you are the Director or Proprietor of a business you can always be assured of our expert advice and knowledge of your business sector. Please arrange a call back or email us using the form below if you would like a quotation.